In the context of membrane keyboards, a keyboard switch is composed of a flat, flexible surface and acts as a medium between the keys and the underlying circuits. In the case of tactile switches, they also provide a tactile sensation for the user to indicate a completed keystroke. Keyboard Switches – Douglas Corp.
Membrane keyboard switches are fairly inexpensive, easy to mass produce and are resistant to dirt and liquids compared to keyboards that involve many individual keys. Because of their versatility and low cost, membrane keyboard switches are used throughout industry as well as in commercial and consumer products contexts. 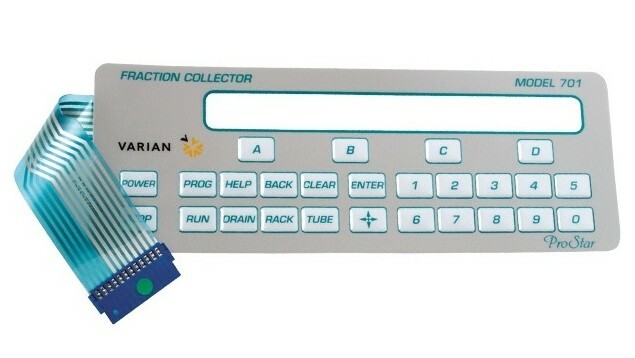 In industry, membrane keyboard switches and keypads are used to give commands to manufacturing machinery and service equipment. 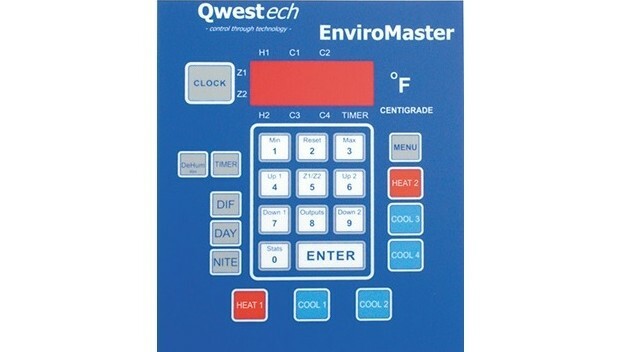 In commercial settings, telecommunications equipment, commercial cleaners, door access keypads and many other kinds of equipment involve the use of membrane keypads. Many consumer products are also equipped with keyboard switches; dishwashers, vacuum cleaners, telephones and many other domestic utilities are frequently affixed with keyboard switches. Keyboard switches are either mechanical or non-mechanical and are composed of a variable number of parts, depending on the device’s configuration. They most typically are composed of three layers. The bottom layer features the circuitry that connects with the rest of the electrical device. The middle layer serves as insulation, and the top layer features the buttons. Each button is affixed with a discrete, electrically conductive material, which, when forced into contact with the lower circuitry layer, causes the transmission of an electrical signal. That signal is then processed by the connected electronic device. There are a number of switch technologies that keyboards use. Capacitive switches are non-mechanical because the current is constantly flowing through all parts of the keyboard matrix. The keys are spring-loaded and press down on a metal plate, which touches another plate beneath it to change the current. The processor detects the change and interprets it as a key stroke for that certain spot. The rest of keyboard switch technologies are mechanical. Dome switches are the most common kind. In this process, the key stroke presses down on a dome beneath the key, which is part of the membrane. It then connects to a pair of conductive lines and causes electric current to flow. Finally, metal contact switches use spring-loaded keys that are connected to a piece of metal. When pressed, the metal connects with two circuits, which are sometimes made with a foam piece for better tactile response. Finding the right keyboard switch for a given application is not difficult; a wide variety of configurations are available to meet the needs of the many electronic devices in existence. Keyboard Switches Keyboard switches are user-equipment interface utilities that allow for the communication of commands from a user to an electronic device. Keyboard switches interpret key strokes and send a current through circuitry to a processor that interprets the signals.